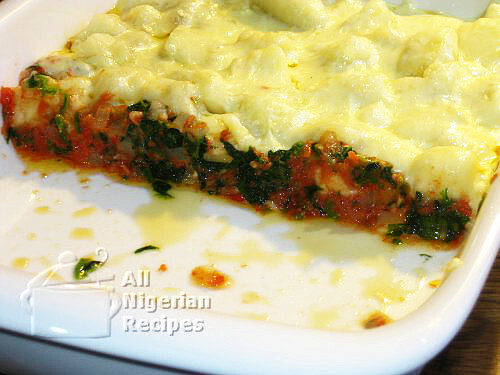 Baked Yam and Cheese is a whole new way to enjoy the yam staple. It is the perfect balanced diet. 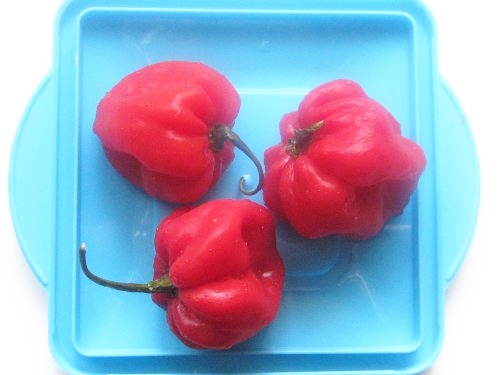 Blend, pound or cut up the habanero peppers. Cut the onions into tiny pieces, cut the white fish into small cubes. Peel and cut the yams into small cubes. Defrost and cut up the frozen spinach then wringe out all the water from it. Boil the tomato blend till all the water has dried. Add the vegetable oil and onions and fry till all the tangy taste of the tomatoes is gone. This is the done the same way as Tomato Stew. Add the pepper, stock cube (crushed), stir and add the white fish. Cover and cook till the fish is done. I use Panga and this takes at most 5 minutes. Add the spinach, stir and take the stew off the stove immediately. Put the yam pieces in a pot and pour water to the same level as the yams. Boil till the yam is done to your liking. I like mine well done and soft and it takes about 7 minutes on medium heat because the yam pieces are small. Once you are happy, remove the yams from the water and set aside. Set your oven to 200°C (390°F) to preheat. Scoop the stew into a baking tray and spread it out to cover the base of the tray as much as possible. Add the yam pieces on top of the stew, once again speading them out to cover the stew. Finally, sprinkle the grated cheese on top of everything. Bake till the cheese have melted. Bring out from the oven and leave to cool down a bit for about 5 minutes. This gives the cheese some time to set. It is ready to be served. Cut into it like you would a cake.